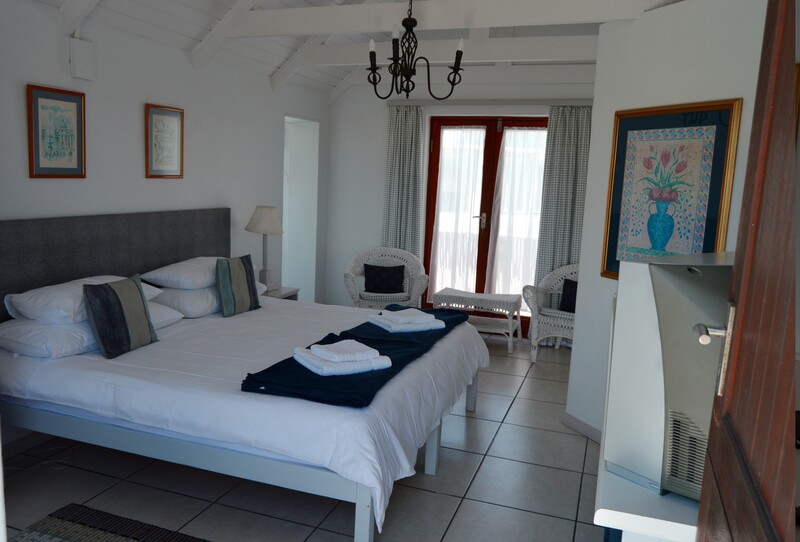 Our crisp white linen , clean and safe accommodation - within walking distance to all the excellent eateries the village has to offer added to long beach walks , interesting attractions nearby and typical west coast hospitality and weather .... come join us for your next break ! Paters Haven offers a SELF CATER apartment which sleeps up to four persons in two bedrooms , which are accessed by stairs. Downstairs is the dining , kitchen and living area with an outdoor patio - an indoor fireplace and outdoor barbeque . The sea is 200 m from the front door and the unit offers panoramic sea views . The unit is fully equipped . ALTERNATIVELY we offer two BED and BREAKFAST units , each sleeps two persons and offer clean , safe and comfortable accommodation. The units are accessed by stairs , sea views vary between the two units and both have amenities such as tea/coffee tray , bar fridge , DSTV , choice of either single or kingsize beds , shower and WiFi . A continental breakfast (not an English breakfast ) is included in the rate.